Request a safe bee removal by contacting us on (011) 706-5447 today. Established over 20 years ago, AA Bee Removals has continued on with the legacy founded by Terry Winchester and has established itself with the gold standard in safe, humane bee removals across the Gauteng region. 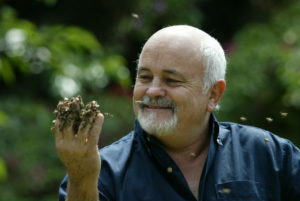 Founded by Terry Winchester, AA Bee Removals believes in safe bee removal which does not harm these vitally important creatures. AA Bee Removals, will only ever remove hives during the day to ensure safe, humane re-hiving. Do not allow pest control or bee removal companies to kill these vitally important creatures. You can read more on the declining bee populations and what that means for the planet here. AA Bee Removals – We Never Kill Bees!